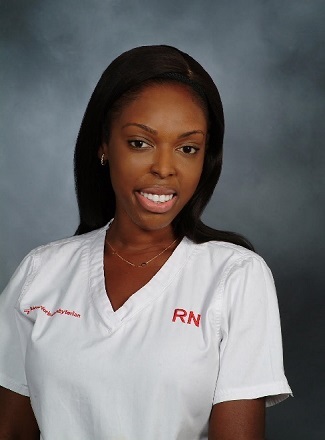 Danica Dorlette is a nurse who worked as an Environmental Health intern at WE ACT. Whenever someone asks me where I grew up, I always pay homage to Bushwick, a working-class neighborhood in northern Brooklyn. But some of my earliest memories are from Canarsie, where my mother rented an apartment in a two-family home. I was only two at the time, but I remember summer evenings chasing ice cream trucks and playing in the backyard with the landlord’s two children. I can also recall how things took a turn for me that winter. I developed a bad cough that hurt deeply. I remember my “belly [feeling] hot” and spending nights sweaty and unable to sleep. That December I was diagnosed with bronchitis, a condition which plagued me for the next six years. What I don’t remember from the time we lived in that apartment is the constant dampness, or how my mother had to buy buckets to catch the water leaking from the ceiling. Nor do I recall the mold that grew from that dampness and leaks, or how my mother’s eyes became irritated from constantly using bleach to remove the mold when her pleas to the landlord were ignored. The final straw for her was the lack of heat, which became unbearable with the first snowfall of the season. After five months, we had to flee those dreadful conditions. I had grown increasingly ill and staying in a damp, leaky, moldy apartment was no longer an option. For our health and well-being, my mother moved us to Bushwick before the year ended. Unfortunately, this sort of experience is hardly unique to my mother and me – but our solution was. Not everyone can pack up and leave the way we did. There are a myriad of factors that tie people to where they live. And even in the face of unsafe and unhealthy conditions, moving simply isn’t a viable option for many people. Not every child can find a safe place to grow. New York City is home to a richness of diversity, history, and people that few other places can rival, but it also home to many inequities. As Dr. Mary Travis Bassett, the commissioner of the New York City Department of Health and Mental Hygiene, notes, “poor health outcomes tend to cluster in areas that people of color” and low-income residents call home. Some of the factors contributing to poor health outcomes in disadvantaged neighborhoods can be found in the home. We spend more than 90 percent of our time in indoor environments, most of which is in private residences. Yet housing, and its role in our health, is often overlooked. Poor indoor environmental quality (IEQ) is an important public health risk worldwide, particularly in low-income housing where home upkeep can be a challenge. These indoor environments are not only homes to their occupants but also to a variety of biological, chemical, and environmental hazards as well. These can include bacteria and viruses, molds, dust mites, rodents, cockroaches, pollen, and animal dander. 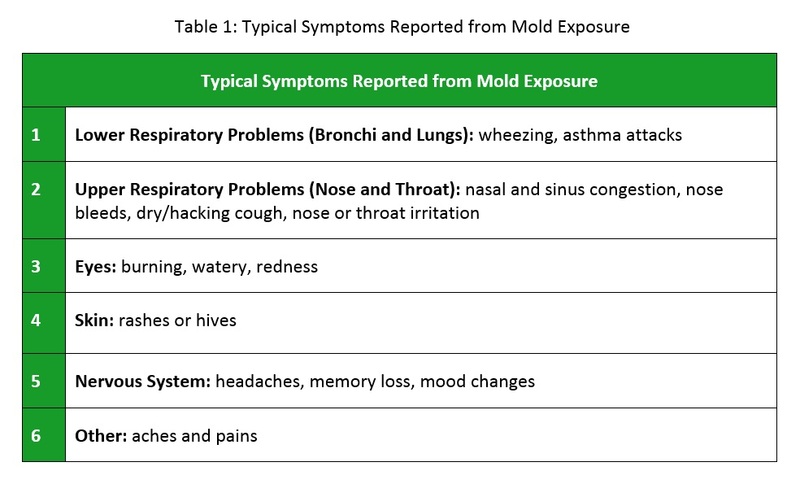 Certain biologic allergens, like mold and pests, are not only a nuisance but also are leading factors for asthma development. In recent years, rising asthma rates and a better understanding of the role of indoor environments in health issues has sparked a number of studies examining the two. These studies have revealed that both mold and pests in the home have severe health impacts, especially for children. Allergic reactions from either mold or pests can range from stuffy-nose or pink-eye to severe asthma. In addition to causing and triggering asthma, these indoor allergens also pose as a risk for possible infections, hypersensitivity pneumonitis, and harmful reactions. Hypersensitivity pneumonitis is when the tiny air sacs in your lungs become inflamed or swollen. When you breathe in something that irritates your lungs, you may have an allergic reaction to it. Then the air sacs in your lungs can swell. If it is not treated early, it can scar your lungs. Indoor dampness is not a health risk by itself, but it often leads to a variety of health hazards such as mold, cockroaches, and rodents. Molds are a necessary part of our environment because, without them, leaves would never fall and properties of soil enrichment could not take place. However, this same ability to destroy organic materials is what makes them a problem both in our homes and in our bodies. Mold can grow on a damp surface within 24-48 hours. Their spores, or seeds, travel through the air, eventually destroying the material that they land and grow on. Just as they are damaging to objects, they can also be damaging to people, causing a range of mild to severe health problems as listed in Table 1. Pest infestations are another linkage between poor-quality housing and chronic illness. For example, cockroaches can cause allergies and have emerged as an important asthma trigger in inner-city neighborhoods. It is well documented that children with asthma who are sensitized and exposed to cockroaches are at higher risk for hospitalization (Cohn, 2005). One study looked at the effects of exposure to cockroaches in 349 mother-child pairs in Northern Manhattan and the Bronx. The researchers found that 80 percent of homes tested positive for high levels of cockroach allergen (protein in feces, saliva, or other remnants of the insects) and that, by age seven, 31 percent of children had cockroach allergy. In addition, deaths by allergies and asthma caused by mouse allergens are also clinically important, with 60 percent of adults and 80 percent of children with asthma having allergic asthma. That is why it is critical to control these avoidable allergens. One way to achieve this is through proper home maintenance and construction. Structural defects permit entry of cockroaches and rodents, while leaking pipes and other sources of water provide them with water to drink – in addition to serving as a source for mold. 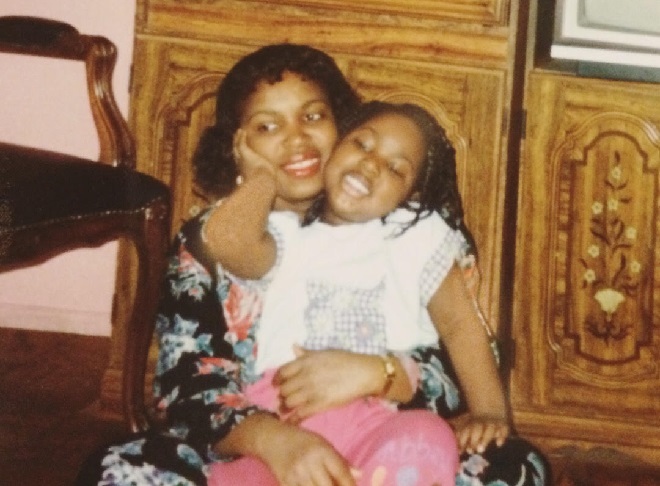 Danica Dorlette with her mother at age 5. Asthma is a major urban disease with considerable monetary and emotional costs for not only those who suffer from it but also for the healthcare systems that serve and support them. In fact, the total annual cost for environmental attributable childhood diseases such as asthma, lead poisoning, and cancer in the United States is $54.9 billion. Though these are not all solely due to indoor exposures, their contribution is noteworthy and is a call to action to improve the environments in and surrounding the areas we call home. Because indoor environmental contaminants are significant public health risk, particularly among children and the poor, both the adverse health effects and exposure levels deserve public policy attention. The health of residents is not a matter to be bargained with in light of funding limitations or an inability to fund proper home remediation. The complexity of the intersection between substandard housing and resulting health effects demands attentiveness from a number of stakeholders. And commitment and collaborative effort between decision makers in public housing, urban development, and health departments can help give low-income residents hope for a solution. WE ACT and a team of coalition members have taken leading steps in this path to commitment and collaboration. The “NYCHA Villages Project” is a community engagement project between WE ACT and Dyckman Houses residents in Inwood, a neighborhood in Northern Manhattan, to identify environmental, social, and economic issues faced by the community and work towards addressing them. In January 2018, WE ACT facilitated a conversation amongst Dyckman residents on environmental conditions that focused on topics such as air quality, temperature regulation, safety concerns, accessibility of services, and mental health. WE ACT and Dyckman residents are now working on a set of recommendations that will be proposed to the New York City Housing Authority and other relevant stakeholders to publicize the issues and health disparities faced by the community. This endeavor could be the first of many others devoted to building a culture of health for public housing residents and ensuring a safe and healthy home for all. Landrigan, P. L., Schechter, C. B., Lipton, J. M., Fahs, M. C., & Schwartz, J. (2002). Environmental pollutants and disease in American children: Estimates of morbidity, mortality, and costs for lead poisoning, asthma, cancer, and developmental disabilities. Environmental Health Perspectives, 110(7), 721-728. Retrieved February 15, 2018, from https://www.ncbi.nlm.nih.gov/pmc/articles/PMC1240919/. Perez-Padilla, R., Schilmann, A., & Riojas-Rodriguez, H. (2010). Respiratory Health Effects of Indoor Air Pollution. The International Journal of Tuberculosis and Lung Disease, 14(9), 1079-1086. Retrieved March 1, 2018, from https://www.ncbi.nlm.nih.gov/pubmed/20819250.